About 21" (53.5 cm) circumference and 7¾" (19.5 cm) tall. 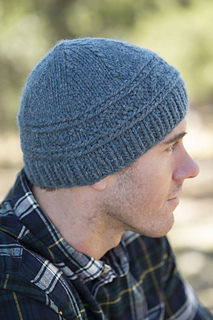 The Bryn Hat is a perfect companion project for the Broc Sweater, having the same decorative relief pattern consisting of nuppiline bobble stitches lying between twisted braids. 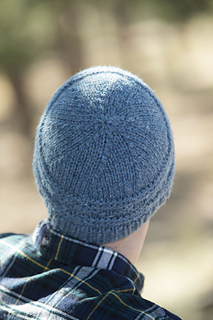 For those of you who are familiar with Swedish tvåänststickat or twined knitting, and the twined purl stitch in particular, you will recognize that the Estonian twisted braid and a twined purl stitch round are worked in exactly the same way. One explanation for this could be that Estonia, and especially the Estonian island of Muhu, attracted many Swedish immigrants, and naturally, Swedish knitting techniques must have become integrated with the traditional Estonian techniques. 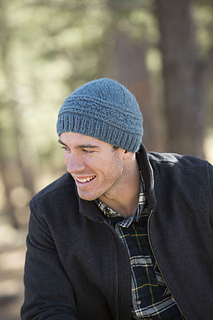 Quick to knit, the Bryn Hat is an ideal project with which to practice the nuppiline stitch and braiding techniques before embarking on a larger project such as the Broc Sweater. 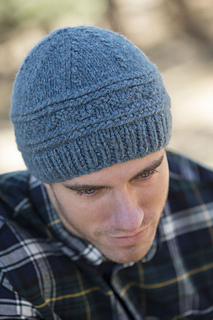 This hat is also knitted in a pure Shetland wool yarn, in the round from the bottom up, and there should be enough stretch and positive ease to accommodate most men’s heads. Needles Set of 5 size U.S. 9 (5.5 mm) double-pointed (dpn). Adjust needle size if necessary to obtain the correct gauge.